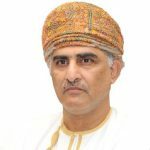 Hatim Al Taie, a media professional with an extensive background in the media industry as well as a deep rooted devotion to the people, traditions, arts and culture of Oman, heads up the Al Roya team as CEO and Editor-in- Chief. He founded the company to promote Oman's unique identity in the global sense. The company's titles reflect that initiative, having allowed the company to grow multifold to its leadership position in the Oman media.